Shredding UK provide a confidential, secure and efficient mobile data destruction service. 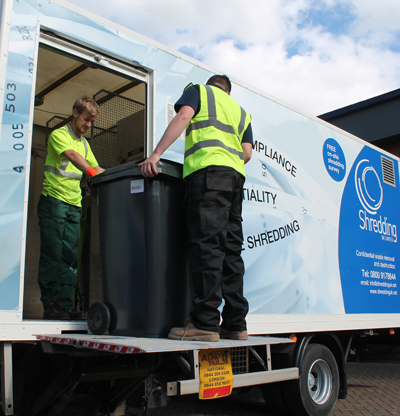 Our customised transport, with on-board Industrial Shredders allows us to provide a reliable, trustworthy service that caters for a large array of your shredding requirements. Shredding UK are able to come to your required location whether it be your office, a storage location or even your home, with a vehicle equipped to shred data on site. You are guaranteed a secure chain of custody and will be supplied with a Certificate of Destruction for all shredding completed.